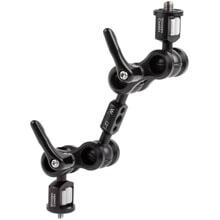 Ultra Arm Monitor Mount (1/4-20 to 3/8-16, 5") is an articulating arm with two sets of 25mm (1 inch) double ball joints which allow a monitor or accessory to be positioned in just about any orientation. 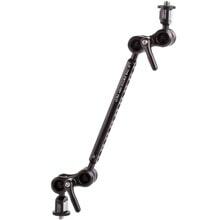 Tool-less 1/4-20 knobs on one end and 3/8-16 knob on the other with non-slip rubber pads make setup quick and easy. Also included are two locating pins that can be installed on the 3/8-16 end turning it into an ARRI accessory mount compatible device! Black center thumbscrews ratchet to allow for easy positioning. The 5" title refers to the center extension length but actual length fully extended measures 289mm (11.4 inches). 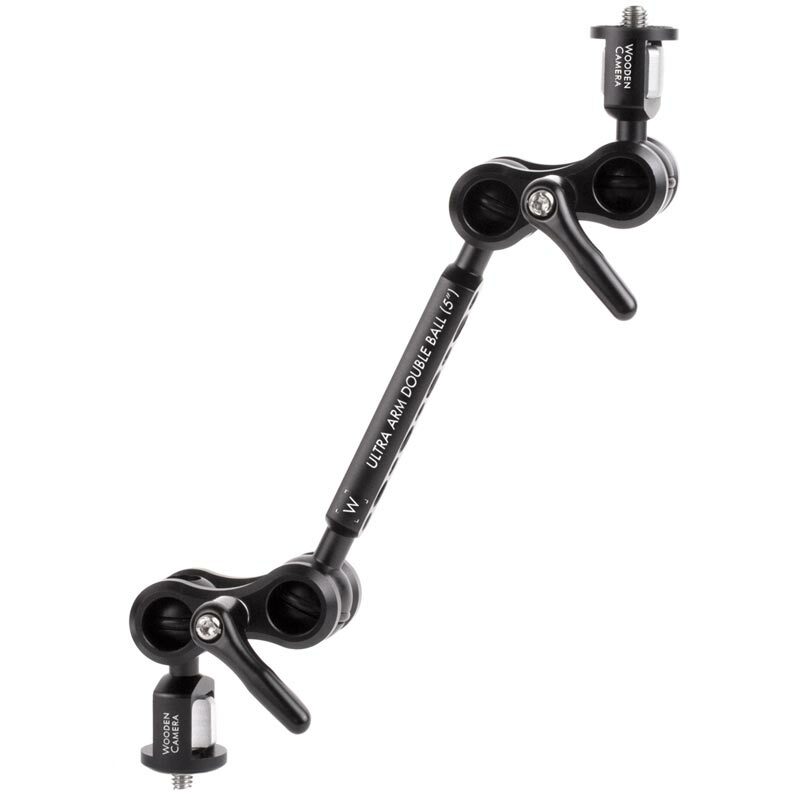 Ultra Arm components are interchangeable so you can use this arm in conjunction with the other options we make like 1/4-20, 3/8-16, NATO Clamp, Hot Shoe, and Super Clamp. You can also change the center extension piece! 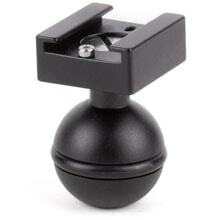 Many existing 3rd party 25mm ball systems are compatible as well.